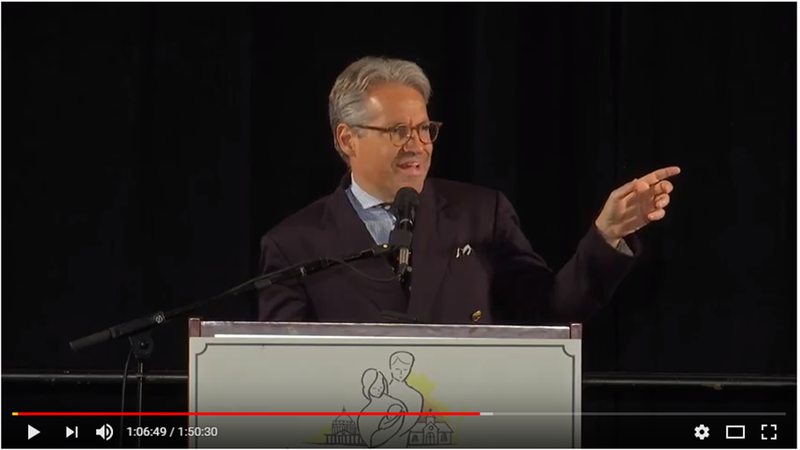 By George, He Gets It: Cardinal Demonstrates How Liberals Deconstruct "Wall Of Separation"
One wonders where the screams and the outcries are from the Left these days about the deconstruction of the so-called "wall of separation between church and state." But funny (i.e., sad) things happen when leftists gain power — they expose their double-speaking true goals. For all the shouts about Christians "imposing their beliefs on others" therefore requiring this mythical wall, the Left does not desire separation. It wants full integration, despite the First Amendment prohibiting government interference in organized religion, because regulating the way a religious faith practices its beliefs mutes its impact on society and gives government a freer reign to mold its citizenry. For the Left has plenty of faith and belief. It just happens to be in government and in secularization of society. No one has articulated the aims of the Left better than Francis Cardinal George, Archbishop of Chicago. He understands how the attempt by the Obama administration to eliminate conscience protections for Christians to practice their faith would isolate them to their churches, still free to worship, but not at liberty to practice their faith. No schools. No hospitals. No shelters. No adoption agencies. No charities. All of these services would eventually be turned over to secular, non-religious private or government entities unless the religions spited themselves and provide contraception and abortion services and insurance coverage to all the employ or teach, against their faith and deeply held beliefs. That's just as the Left prefers, especially for government takeover and expansion, and the end of religious liberty in America through forcibly dictating to churches how and what they are to act, contrary to their faith. All the while, the Left not only is silent, it drools at the prospect and fanatically encourages the administration to neuter the one constant voice for Truth in an increasingly chaotic world. At the Values Bus rally Tuesday, for example, one man repeatedly yelled that "free" (i.e., taxpayer funded) contraception is a "constitutional right." Liberty of religion is more than freedom of worship. Freedom of worship was guaranteed in the Constitution of the former Soviet Union. You could go to church, if you could find one. The church, however, could do nothing except conduct religious rites in places of worship — no schools, religious publications, health care institutions, organized charity, ministry for justice and the works of mercy that flow naturally from a living faith. All of these were co-opted by the government. We fought a long cold war to defeat that vision of society. Cardinal Francis George of the Archdiocese of Chicago distinguishes between freedom to worship and religious liberty described the end of religious freedom in America if the Obama administration forces through its dictates on Christian churches.